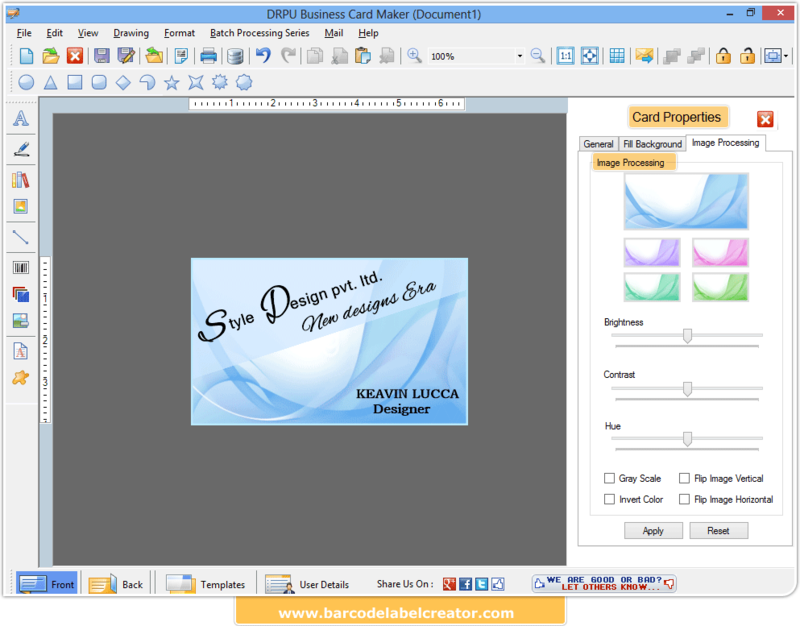 Business Card Maker Software can design Business Cards with use of card designing Tools including Text, Library Images, Select Image, Line, Barcode, Background Image, Watermark, Custom Shapes, Shapes and Signature. Business Card Maker Software easily generates Business Cards with advanced print option in easy to use graphical user interface. 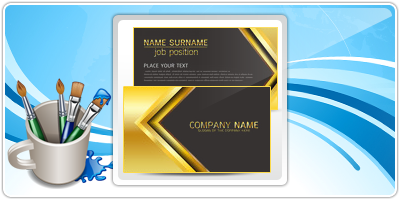 Software has inbuilt email setting option to send designed business cards on specified email address. Provides advanced image designing tools to create business card. Design business cards in customized shape including Rectangle, Rounded Rectangle or Ellipse label shape. Batch Processing Series feature allows to generate the multiple Business Cards with different barcode and text value. Advanced color settings to include various type of colors while designing a business card. Save designed business cards on your PC for future usage. Provides option to send designed business cards at specified email address using inbuilt email settings.